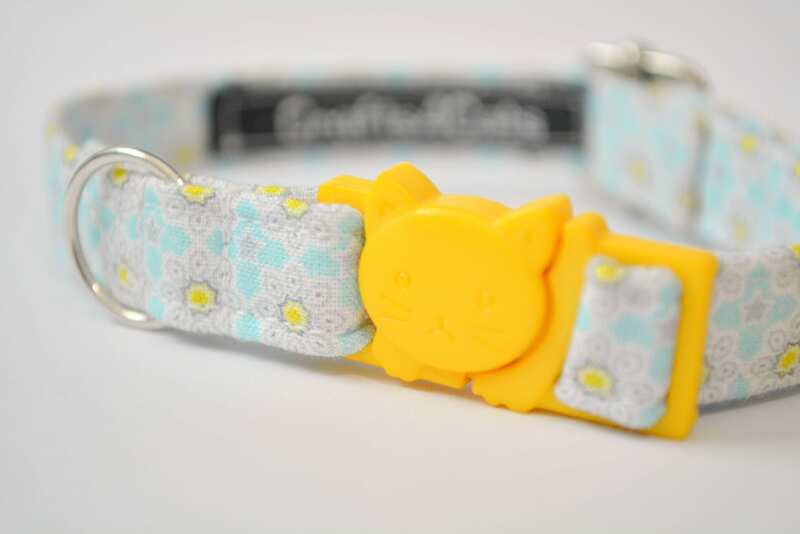 The collar is fitted with quality finishings a metal adjuster and a hand painted face of a pretty kitten design breakaway buckle. Made from good quality 100% cotton fabric with soft, smooth finish. 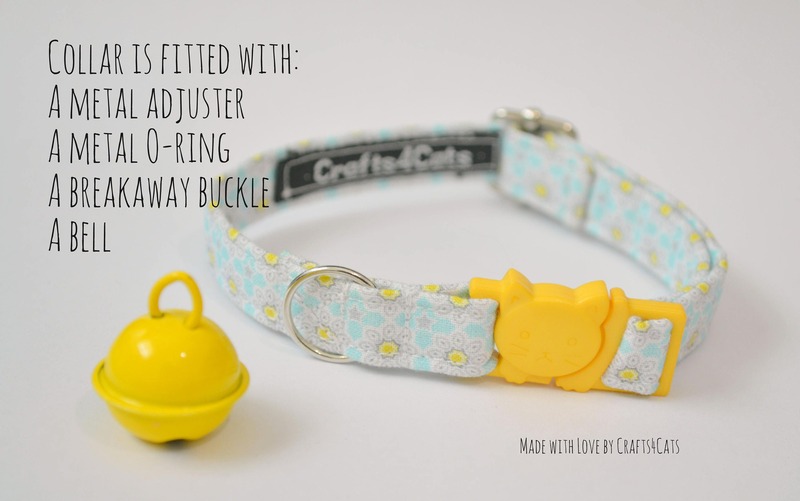 A collar with a breakaway buckle. 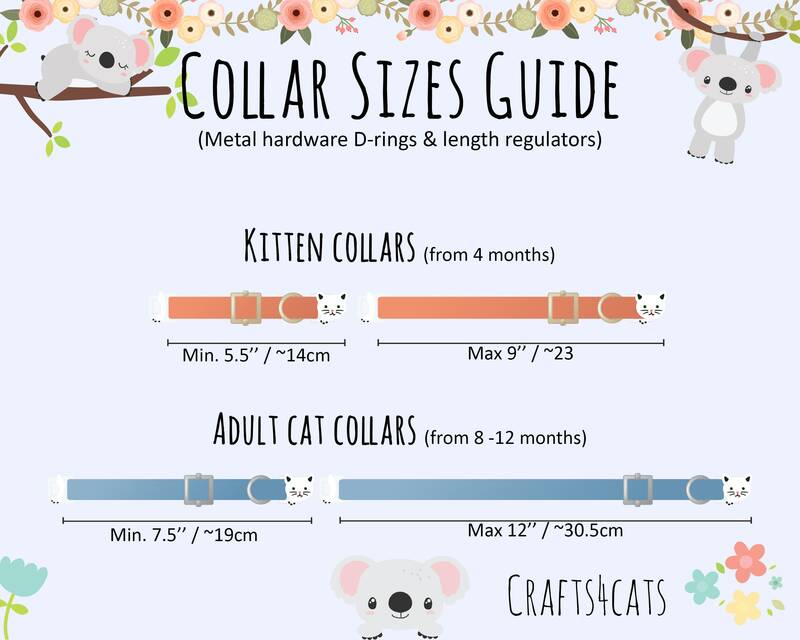 Collar width: 9/16" (14mm). If you do not like the buckle colour - please ask! I have many other colours. 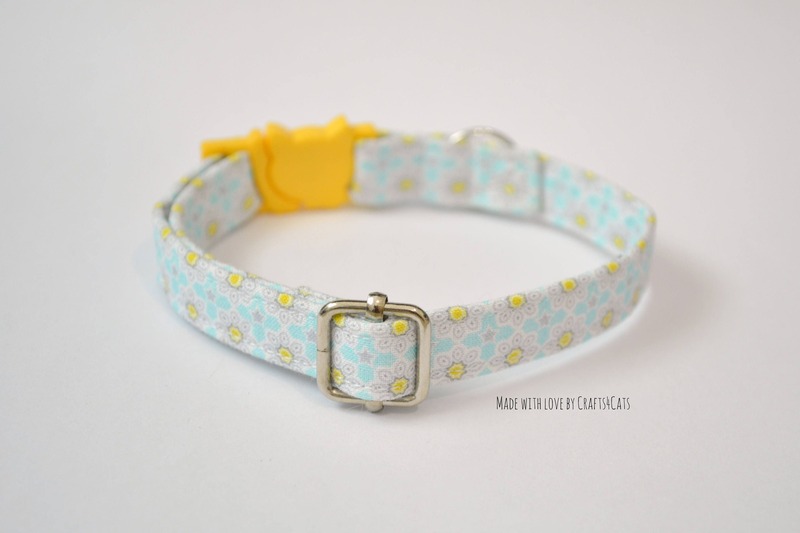 Yes, I offer dog collars with non-breakaway 5/8" buckles in various colours. Please contact me. Yes, I can make a bow tie or harness from this fabric. Simply submit your custom request for a quote.